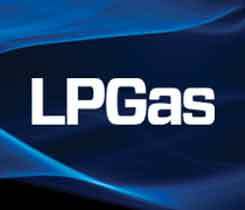 Agility’s new propane engine receives EPA approval Posted on 17 Apr 2019 in the New Products categories. Hiab offers semi-automatic folding crane Posted on 17 Apr 2019 in the New Products categories. Quality Steel parent company acquires LP Cylinder Service Posted on 11 Apr 2019 in the News categories. Silicon Controls upgrades Gaslog tank monitors Posted on 10 Apr 2019 in the New Products categories. MTankCo, Liquid Controls to showcase LCR.iQ register Posted on 10 Apr 2019 in the New Products & Uncategorized categories. Hanbay to display new ESV actuator at Propane Expo Posted on 03 Apr 2019 in the New Products categories. Bergquist to unveil X-Risers at Propane Expo Posted on 03 Apr 2019 in the New Products categories. Bergquist to debut Cavagna float gauges Posted on 27 Mar 2019 in the New Products categories. 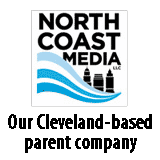 EDP selects director of supply and logistics Posted on 26 Mar 2019 in the News categories. 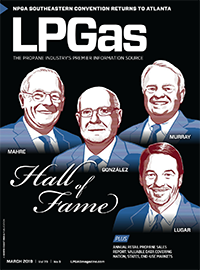 LP Gas Hall of Fame profile: David Lugar Posted on 25 Mar 2019 in the Current Issue & Featured & Hall of Fame categories.